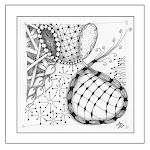 Zentangle - Time To Tangle: Winter 2011 Class Schedule is here! Winter 2011 Class Schedule is here! Check out the offerings below at Kimball Jenkins School of Art and at the Center For Health Promotion (Concord Hospital).